Chandler Jones, Hightower will play today. 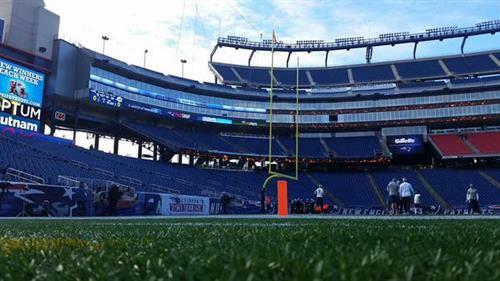 Inactives: Denard, Devey, Fleming, James White, Chris White, Easley, Moore. #Dolphins lost SS Louis Delmas to injury, and will be without LBs Koa Misi and Jelani Jenkins today. 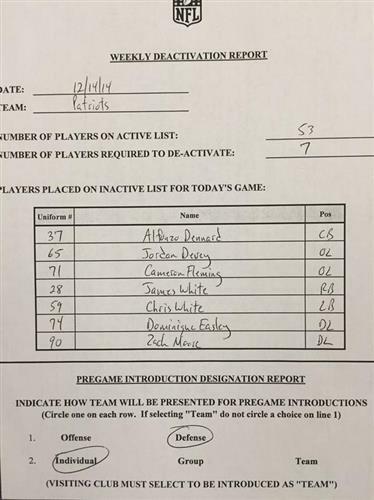 Chandler Jones and Dont'a Hightower are both active for the #Patriots today. Jones had missed the past six games. First game for Chandler Jones since Oct. 16. He missed six with a hip injury. 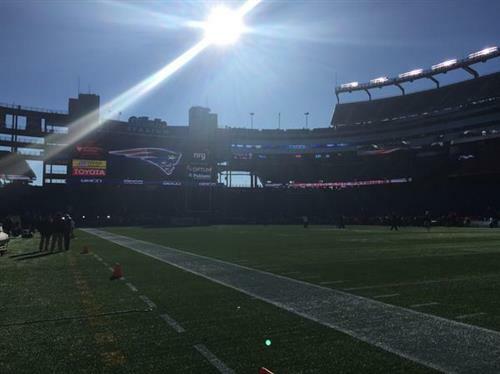 #Patriots inactives: Alfonzo Dennard, Jordan Devey, Zach Moore, Dom Easley, Chris White, James White, Cameron Fleming. Dont'a Hightower sat out last week at San Diego after injuring his shoulder against the Packers. Will be interesting to see how many snaps Jones gets, and how the Patriots use Akeem Ayers if and when Jones is on the field. "Public Service Announcement" playing on the PA at Gillette Stadium. Allow Tom Brady to reintroduce himself. Dan Connolly (neck) is questionable to return, and is dealing with a lot of injuries now.